Betway were originally started by self-described sports fanatics, who vowed to give their customers the highest possible number of betting options, as well as the best possible options. Although they have grown to offer a variety of casino games, sports betting remains their stronghold. They’ve prided themselves on staying at the forefront of advances in the sports gambling field, being particularly early adopters to in-play betting. Thanks mostly to their high profile sponsorships, Betway have become one of the most visible bookies on the market. Amongst their portfolio, they are the primary sponsors of West Ham United, Premier League Darts, the Davis Cup and snooker’s UK Championship. But, publicity aside, are their offerings actually any good? Let’s investigate. New UK and Ireland Customers Only. Min Deposit: £/€10. First Deposit matched up to £/€30. 1 x wagering at odds of 1.75+ to unlock Free Bet. Credit Card, Debit Card & PayPal deposits only. Additional Terms Apply. £10 Risk Free First Bet. Reward Club Offers Interesting Deals. Betway’s sign up offer for football betting is certainly competitive, although the extensive terms and conditions might make it confusing to first-time users. We’ll do our best to clear things up for you. The Sports Welcome Offer is a 100% match on your first deposit after signing up to Betway (with a minimum deposit of £10). That means that if you deposit an initial £30, Betway will match with another £30, which gets put into your Bonus Account. It’s definitely a generous welcome offer, and one of the better ones on the market. Do be aware, however, that you need to wager five times before claiming the money in your Bonus Account. These wagers must be at odds of 1.75. Those odds aren’t too demanding, so we’d recommend finding 5 fairly safe bets at those odds, before making some riskier bets – accumulators and the like – with your free bonus money. Betway’s approach to ongoing football promotions is certainly unusual. Many bookmakers ensure they have plenty of offers available at all times. At the time of writing, Betway have a grand total of… two. One of those is only applicable to one specific upcoming match (an admittedly impressive ‘Free Bet per Goal offer’: pick a team out of Chelsea and Spurs, and each time your team scores, you’ll get a free £5 bet). Betway seem to be putting all their ongoing promotion eggs in one basket: the Free Bet Club. Opt in to the club, spend a minimum of £25/week on football trebles or higher (single bets, which depend on three or more outcomes: small accumulators, basically), and you’ll get £10 back in free bets. The Free Bet Club offers excellent value, and you can see why Betway sports have placed so much importance on it. The accumulator is one of the most popular football bets. This offer effectively allows you to place an accumulator worth £25 each week, at an actual cost of only £15 to you. We’ll say this up front: Betway’s mobile app (available on iOS and Android) is absolutely fantastic, and is easily one of the best on the football betting market. It all begins with a user-friendly interface which is extremely easy to comprehend, has a simple but effective layout, and is intuitive to use. 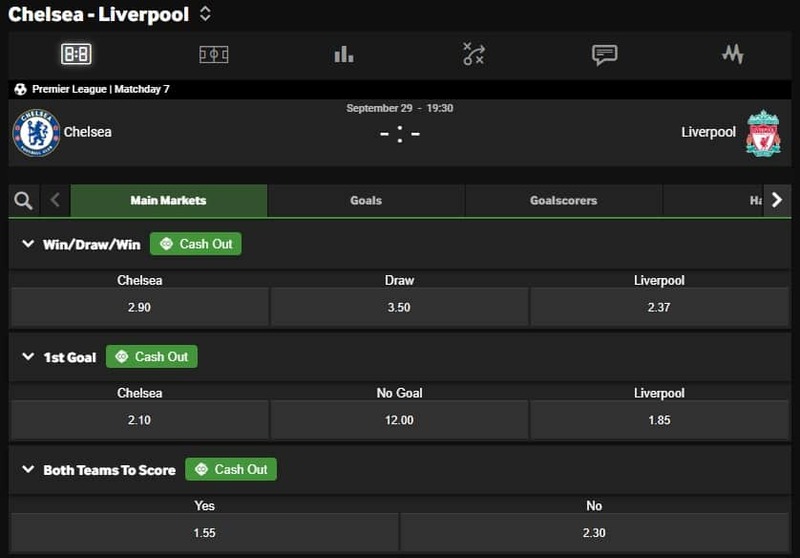 It’s also jam-packed with features, with all of the extensive football betting markets that you’d expect, complete with odds that are constantly being updated. In-play football betting is also available, including a cash-out service; if your wager’s going pear-shaped, it only takes a few touches of your screen to save the day. Another seriously impressive feature is live video, which is available for a number of matches (certainly not all of them, but you wouldn’t expect that). That’s an unusual bonus offering, even in today’s online betting climate. Add all this together, and you have a top-level mobile offering. If you’re someone who likes to place football bets on the move, you’ll be seriously impressed with Betway’s sports app. Betway offers an absolutely enormous range of football betting markets. Every country you can imagine is represented, along with their respective leagues, from the Azerbaijani Premier League to the Serbian Superliga. Cash out and in-play wagering are both offered, as you’d expect. Betway’s interface is once again intuitive when it comes to finding football bets to place. One tab – ‘Top Football’ – puts all the day’s biggest games in one place. Another – ‘Coupons’ – arranges a series of punters’ typical favorite bets. These include Over/Under 1.5 Goals, and Both Teams to Score. After selecting one of these bets, it will then display the latest odds on the wager for the day’s biggest games; the ones you’re most likely to bet on. It’s a lovely touch, and another example of Betway’s user-friendly approach to football betting. The sports main page displays a horizontal menu with links to In-Play, Promotions and the sports with the most bets. Football appears first because the vast majority of sports bets placed with Betway are on football. There are Quick Links on the sports Home Page and several of the highlighted markets are related to football. The main football page displays the ongoing promotions associated with the current fixtures such as odds boosts. The Top Leagues are prominent on the football page and these are mainly the major European leagues and MLS in the United States. Football betting at Betway appears under the headings of Popular, Live Now, Coupons and All Football. There are coupons for leagues all around the world and over 80 nations and 200 competitions are covered in total. The most popular betting league with any online bookmaker is the English Premier League. The clubs earn vast amounts of income from television deals and can pay the highest wages. The money on offer attracts many of the best players in the world but in terms of spending the giant clubs in France, Germany and Spain have more resources. However, there is more betting on matches in the EFL than any other league. About half the fixtures are shown live on subscription channels who can dictate staggered starting times so there are no clashes. More sports bets are now placed using mobile devices than desktop computers and the highest number are in-play on matches in the EFL. Betway offers a full range of in-play markets which are updated in running and matches in the Premier League attract most bets and the biggest turnover. Betway football betting and Betway live football makes up a comprehensive service for pre-match and in-play markets. 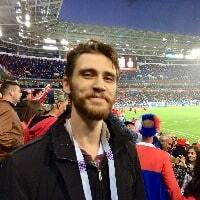 The number of countries and leagues is unsurpassed but other bookmakers offer more markets for each match. #betyourway is a feature for customised betting and allows customers to combine the number of events to happen in a match, such as goals, corners and cards. The events are usually related such as the team to win a match and an anytime scorer. Bets are not settled at the odds for each event to happen in isolation but adjusted to compensate for the fact the events are related. A typical match odds market has a profit margin of 3% for the bookmaker which below average for the online betting industry. In-play betting odds are also relatively attractive. Football accounts by far most in-play events but other live sports include tennis, Esports, basketball, handball and volleyball. Football is one of the sports in which Cash Out is available. The cash out logo appears against the markets that are eligible for this feature. Customers who place a pre-match bet on a live event can close the bet before the final outcome is known. Betway makes an adjustment to the return which is guaranteed regardless of the outcome and this is presented to the customer who can accept or reject the offer. The Cash Out value is based on the initial stake and odds and the latest odds. Customers are not allowed to cash out a bet when betting is suspended after a key event. The purpose of Cash Out is to guarantee a profit or minimise a loss even if the final result was not predicted. Betway offers a decent number of payment methods and these include the most trusted operators within this business. Customers can deposit funds using debit and credit cards, Paypal and Neteller and several other e-wallets. Bank transfers are allowed and payments can be made in 11 currencies. There is no charge for making deposits and withdrawals and the usual time delays apply. The minimum deposit is £10 and maximums are in line with industry standards. There is a Register button for new customers on the Betway Home Page. In order to create an account customers must enter Account Information: Username, Password and Email. Personal details and contact details complete the procedure. When logged in to a new account customers are prompted to make an initial deposit which involves specifying the deposit method and the amount. The Bet Slip is displayed when an option is selected. Further selections create multiple and system bet options. The stake is entered and the returns are displayed so customers can then place the bet. The account balance is updated to reflect the stake and initial deposit. Winning bets are settled within minutes and the new balance is displayed. Betway are very much a ‘created by the fans, for the fans’ kind of company. Their founders were united by their love of sports, and of course sports gambling, and wanted to put together a betting company that gave the best possible offerings to fellow fans. Having been founded in 2006, they have gone from strength to strength in terms of punter numbers, and brand awareness. They haven’t quite hit the big time to the same extent as industry behemoths like Bet365, for example, in terms of their global market appeal. Still, they have successfully spread across a number of countries in Europe, being currently licensed in 8 countries, and it’s surely only a matter of time before they go further. Plenty of football betting sites – in fact, probably all of them – will say that they’re fully committed to offering the best possible user experience. Betway football betting don’t just talk the talk in this respect; they also walk the walk. From their 24/7 customer service, to their user-friendly interface, to their excellent mobile app, using Betway is simply a smooth, enjoyable experience in every aspect. Their lack of ongoing promotions, combined with a respectable but not earth-shattering signup offer, might be enough to put some people off. If that’s enough to send you elsewhere, then so be it. If you can look past this, however, you’ll almost certainly enjoy placing football bets using Betway for years to come. 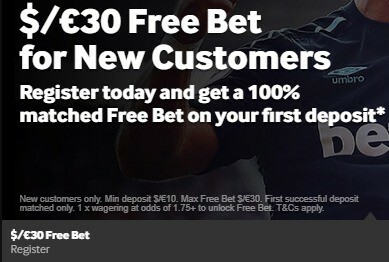 New customers only, place a £10 bet on any Sportsbook market – min stake £10 at odds of at least 1.5 (1/2) — and we’ll give you £30 in free bets. Only deposits made using Cards or Paypal will qualify for this promotion. Free bets are valid for 30 days and must be used on a Sportsbook market. Free bets will be awarded after the qualifying bet has been settled. T&Cs apply. Paddy’s Rewards Club: Get a free £10 bet when you place 5x bets of £10+. T&Cs apply.